Even if you haven't joined us in the past, you are welcome to come meet us and share with us! Join a group of Christian moms to discuss faith and life! All stages of motherhood are welcome, no experience is necessary and childcare is provided for your littlest ones! All are welcome to join us as you are able. We meet Wednesday mornings at 9:00 (after morning Mass!) and typically meet for an hour. 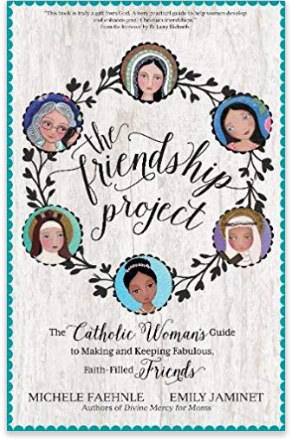 This fall we will be reading and sharing about the book: "The Friendship Project: The Catholic Woman's Guide to Making and Keeping Fabulous, Faith-Filled Friends"